Vogue Cards: Spring and distressed looks. I am absolutely loving my Tim holtz distress inks, they are absolutely versatile and give amazing distressed effects to even the simplest of cards. Multi embossed grasses in black and silver, with a dash of peeled paint distress inks complete the look. I also misted the topper with Glimmer mists for a delicate shimmer. Hope you like this card, A glimpse of the spring to come!! I've entered this card in the following challenges. 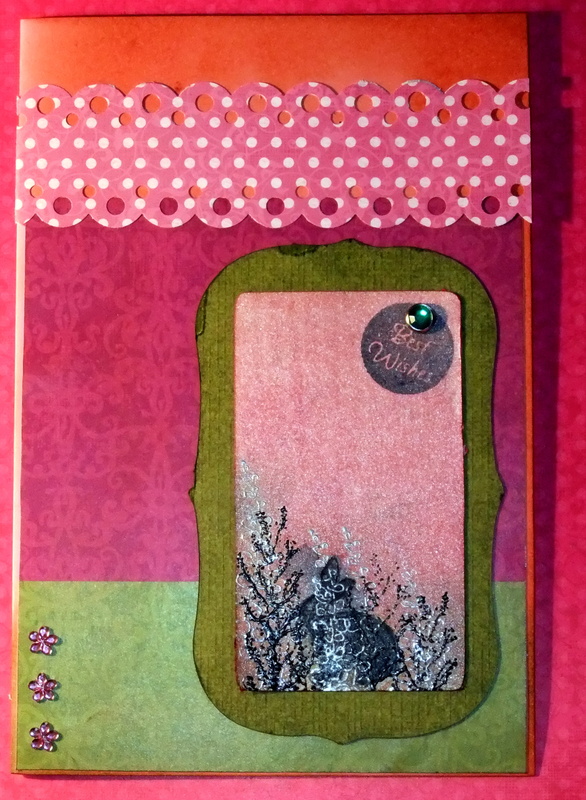 Very pretty thanks for joining us at Cardpatterns. pretty! Love your use of vibrant colors! Thanks for joining us at Card Patterns!